When it comes to standards of service for home removals in London, very few companies can compete with Gentleman & a Van. It’s often said that moving house is one of the most stressful events you can go through. But we truly believe that moving to your future home should be an exciting experience. From organising the packing beforehand, to arranging temporary storage if you need it. From sorting out parking restrictions, to taking away the packing materials once you’re in. We have it all covered. We take on all the stress and leave you free to enjoy the adventure of moving into your new home. Gentleman & a Van specialises in home removals in London. Proudly founded with experienced staff and an excellent fleet of vehicles, we pride ourselves on impeccable customer service. All designed to provide you with a professional and cost effective home removal service. We have over thirteen years’ experience of home removals in London. In fact, we’ve completed over 50,000 moves to date, so our team are accustomed to dealing with the challenges of moving in London. Parking restrictions or narrow ﬂights of stairs? Top ﬂoor apartments that require a furniture hoist? We’ve seen it all. We can help you move seamlessly. If this is your first move or your first time of using a removals company then you probably have a lot of questions. 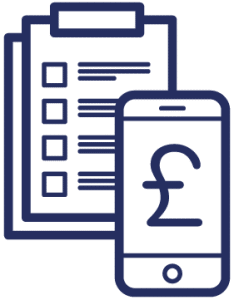 We have tried to answer as many of these as possible on our FAQs page, so feel free to take a look or give us a call. In the meantime, here is our removals service in a nutshell. Call us and tell us a few details about your move. Or ﬁll in a quote form online. We will send a surveyor to your property to assess your home removals needs. You will receive a ﬁxed price quote for your move, including any additional services. Conﬁrm that you are happy to proceed. Let us know your moving date and we will arrange any parking suspensions required. If you have asked us to pack for you, our team will arrive the day before the move with boxes and packing materials to carefully pack your possessions and wrap your furniture. 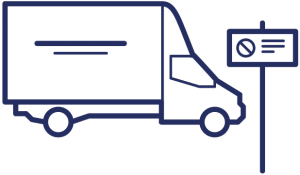 On the day of your move one of our crews will arrive ﬁrst thing in the morning in our branded blue vehicles and our experts will load the vehicles with all of your furniture and boxes. We will drive to your new property and wait for you to collect the keys. Once you have had a look around your new home, our team will unload the vehicle(s) and move everything into the rooms that you request. Our experienced team will rebuild any large items of furniture that were dismantled for transit, for example, beds and wardrobes. Boxes will be left in the relevant rooms for you to unpack. 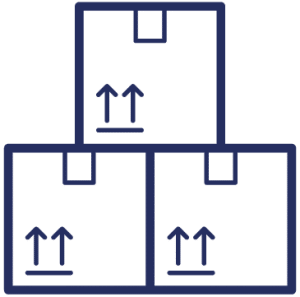 If you have requested an unpacking service, our team will carefully unpack your boxes on to flat surfaces in the rooms of your choice and remove any boxes and packing materials. If you choose to unpack yourself, we will return to collect your empty, dry, flat-packed boxes once you have fully unpacked. At Gentleman & a Van we believe that we offer unrivalled home removals in London and the surrounding areas. "I just wanted to say thank you for the great job your guys did with our move on Saturday. They were so fast and efficient and nothing was too much trouble. Thank you so much and I will thoroughly recommend you to anyone looking to move!"